That's me at work - doing what I love!! 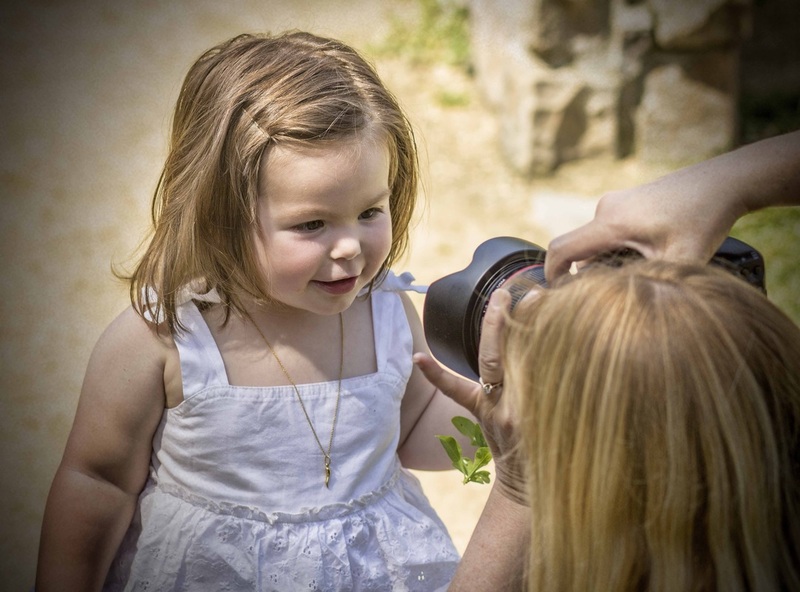 There is so much more to portrait photography than pointing a camera at someone and pushing - click! Photography is as much about creating art, as a painter sitting before a canvas, brushes in hand. In my case, my canvas and brushes happen to be my camera and equipment. I love what I do! A portrait photographer in Long Beach, California, I specialize in newborns, children and families. I have always enjoyed capturing beauty through photography but hadn't considered transitioning my hobby into a career until one day it clicked for me when I was introduced to the world of newborn photography. I absolutely fell in love with those adorable little curled up sleeping babies and I wanted to try it for myself. I loved it and was immediately hooked! There's nothing better than working with a brand new little person to come up with something that Mama and Daddy are just gonna love! From there it just seemed to blossom into a love of portrait photography of children and their families. I cannot help but fall in love with all of my clients as they allow me to share some of life's special moments. I am privileged to be able to create beautiful pictures that will be treasured for years to come. I treat each picture as if it is the most important thing I will do that day and I won't turn out a product until I am happy with it. Whether its a group of 20 or a party of 1, we're creating art! How often have you heard someone say, "I hate to have my picture taken!" Maybe you've said this too, I know I have! What people are really communicating when they say this is, "I don't look good in pictures...I'm always disappointed when I see pictures of myself, so...I hate to have my picture taken." We all want to look great in our pictures and we can help make that happen with angles, and lighting and posing techniques that bring you the beauty you want to see - Bella Faces! Call us today and let's see what we can create for your wall!